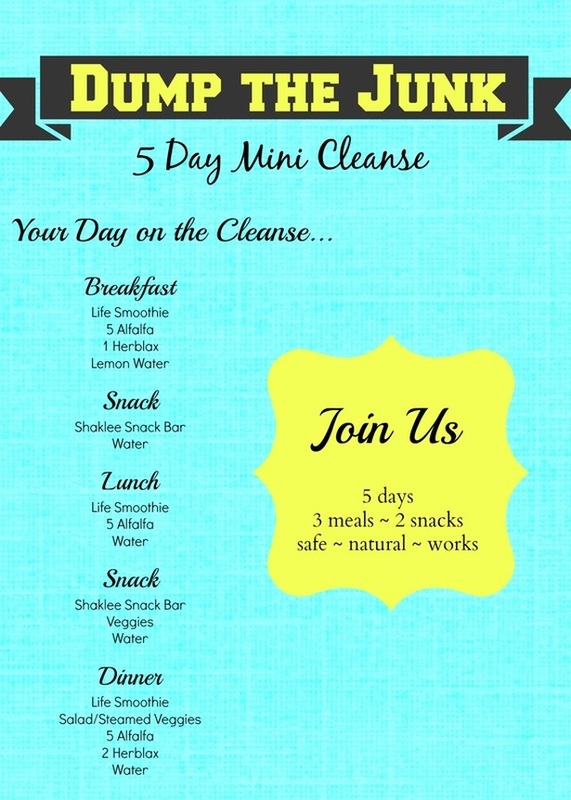 Dump the Junk is a 5 day mini cleanse designed to reboot your body. It rejuvenates, energizes, and removes the toxic junk from your system. It is a great way to reset your cravings, help you feel energized and maybe even lose a few pounds without going hungry, working out, or cooking. So whats involved? For 5 days you will eat 3 meals a day along with 2 snacks while dumping the junk. As Health Educators we realized the importance of cleansing once in a while to reset the body. Just as important as cleaning out the junk is the need to maintain good nutrition and consistent blood sugar levels when doing it. Its also an excellent way to kick-start a weight loss or clean-eating program. This is why Dump the Junk is so great. Enjoy a nutritious smoothie for breakfast, lunch, and dinner along with two tasty snacks during the day. At dinner you also have the option to add a salad or steamed vegetables to meet your daily calorie needs. Dump the Junk - 5 Day Mini Cleanse is adapted from celebrity fitness trainer, Harley Pasternak's book, The Body Reset Diet. As Health Educators we have had the best results when recommending the Shaklee line of food supplements. We have contacted many vitamin companies asking for their research, clinical studies, and quality testing. Shaklee is the company that comes out at the top. We have also found that the Shaklee products used in Dump the Junk are the most nutritionally complete. If you are ready to Dump the Junk we would love to have you join us! 1. 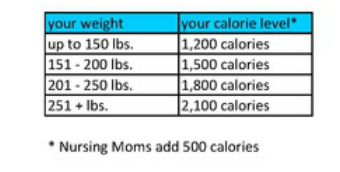 Figure out your calorie total for the day using the chart provided. 2. 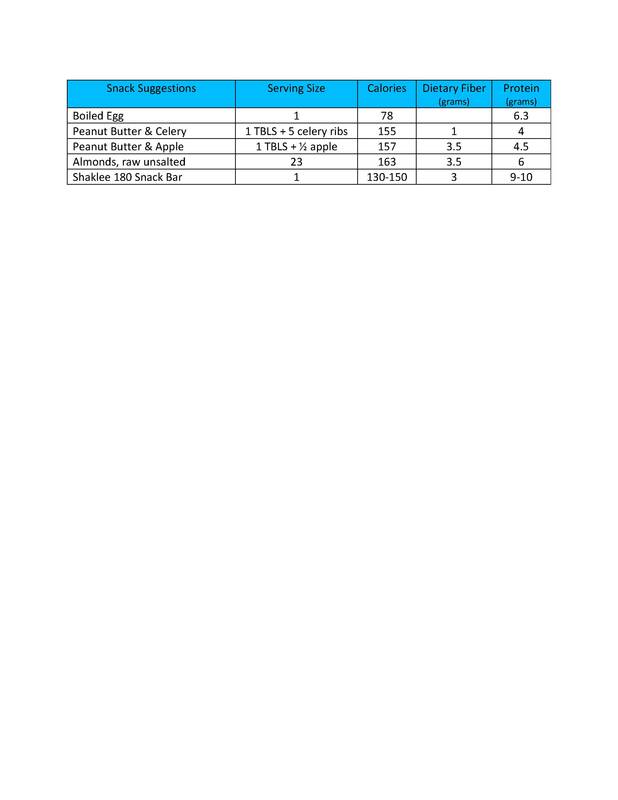 Use the Dump the Junk "Meal Planner" to plan your meals and snacks. …then start Dumping the Junk. Daily tips and suggestions will be posted in our Facebook group (Join here) before, during and after the 5 day event. Find additional information, smoothie and salad dressing recipes, snack options, fruit and vegetable charts, and FAQs in the links provided. If you have any other questions, concerns, or need more information please contact us. We are here to help you have a successful Dump the Junk. Liability: By participating, you agree with the following statement: "I have been advised to consult with my physician regarding any past or current health issue or injury that may affect my participation in this challenge. I assume these risks and responsibility along with all liability for damage arising from any personal injury, illness or other health issue caused to myself, or other persons or property, caused by our participation in this event."